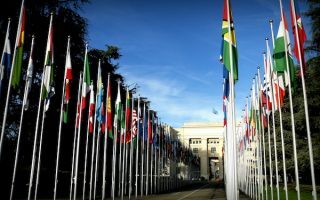 Second largest city in Switzerland, and a center for international organizations, Geneva is known for its spectacular setting, at the south-western end of Lake Geneva, framed by the Alps and the Jura, and at a junction of the Rhône and Arve rivers. Running in Geneva, Switzerland is oriented toward the water. The highlight is Lake Geneva, where there are wonderful promenades along its north and south shore. There are also good paths along the rivers, and some pleasant parks, especially near the UN headquarters. Two major community ‘sporting centers’ have running trails as well as other fitness facilities. And, of course, the Alps are only two hours away. Geneva is an easy city to get around, mainly via bus, trolley, or tram. This being Switzerland, there’s also an efficient regional and national train system. 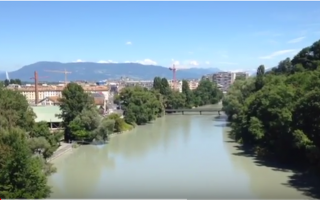 A 5k 'runseeing' tour of Geneva's tourist highlights, focused on the most important sights in the older part of the city, mainly on the south side of the Rhône. St. Pierre Cathedral, museums, Observatory Park, Flower Clock, and famous shopping streets. 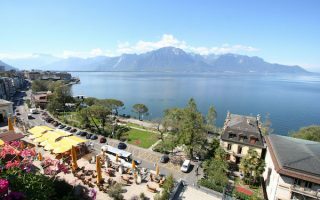 The more picturesque of the lake's north/south shore running options, the Promenade features fantastic views of the lake and surrounding mountains, famed waterfront hotel, parks, and a quick jaunt over to the Parque des Nations. A route along Lake Geneva's south shore. Great views, and a couple of great parks. Our 9km out and back route features a nice waterside promenade, the grand Jardin Anglais and Grange Park, just past Cologny. This route combines parks, the Botanical Garden, a tour of the UN, and some hillside farms. It can be a standalone run, or combined with a longer route involving the north shore of Lake Geneva. A pleasant run along a smaller river that branches off the Rhone. Head south toward the Bout-du-Monde, a sporting center that features a running course, track, & numerous other facilities. Good distance options involving bridge loops. A run along one of the two rivers coursing through Geneva, the Rhône. 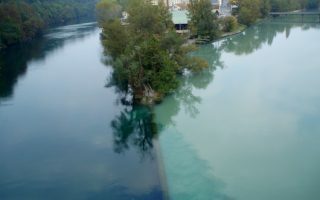 The path along the water is not as seamless as that along the Arve, but this is still an enjoyable route incorporating the water, parks, and bridges. 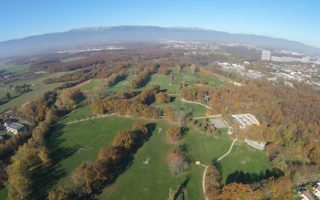 A great combination run of wooded path along the Rhône to the Centre Intercommunal de Sports, which itself has 2-3 km of open, scenic paths, an outdoor track, and other sports facilities. The Center has also mapped jogging routes. 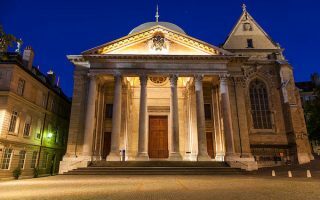 Geneva’s temperate, oceanic climate features cool winters and warm summers. Average high temperatures in summer are 26C (79F), with nights pleasantly cooling off into the 13-15C (mid-50s) range. Winter is overcast and cool, with average highs of 5C (40F) and lows just below freezing. Frost is common but substantial snow is rare. Still, runners should be prepared for occasional slick surfaces in winter. Hotels are well spread out in Geneva. The largest cluster is on the northern shore of Lake Geneva, just south of the Parc Mon Repos. 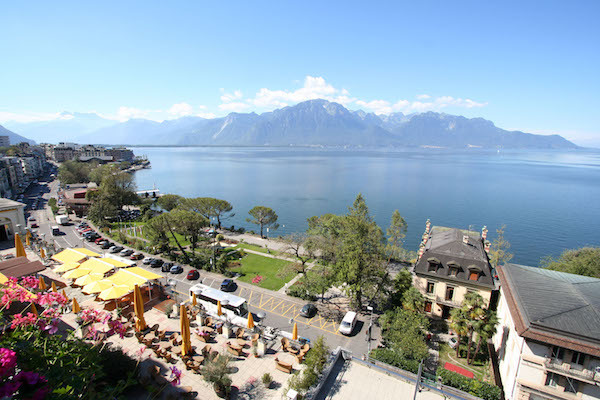 This is a great area to stay for runners, with good proximity to some of Geneva’s best routes. 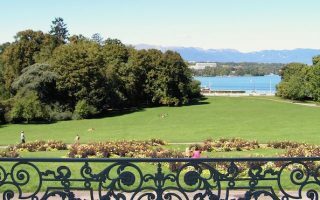 If you stay in central Geneva, you’ll be within 1-2 km of the lakeside promenades and river paths. There are also lots of hotels in the northern part of the city, near the international organization HQ and the airport. Staying at one of these is less charming from a runner’s perspective. Again, try to be within a couple of km of the Lake Geneva’s north shore path. Running Planet Genève is the best and most centrally located running store in Geneva. Good selection and knowledgeable staff.